A car blew up in Moldova's capital city of Chisinau on Tuesday killing one person. Police believe it may have been an assassination or a natural gas accident. Igor Tsurkan, head of the Moldovan tennis federation, was passing by as the car exploded. He was taken to hospital because his legs were seriously wounded, Chisinau Mayor Dorin Chirtoaca told the media. The man, who was the only victim of the blast, died several hours later. 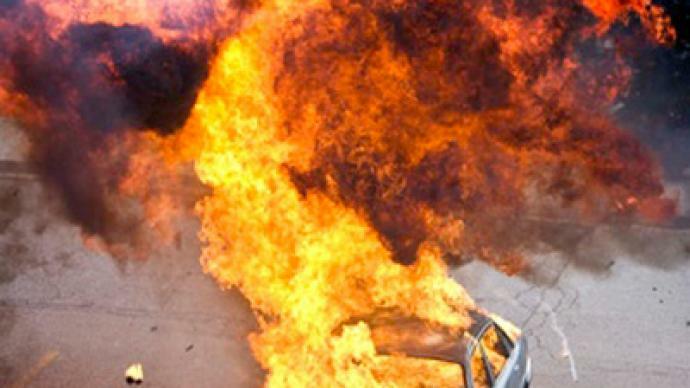 Two other cars were damaged by the explosion and the fire which followed. One of those belonged to Tsurkan. The car which blew up was a Lada with a Russian license plate. It had been parked since Monday evening near the federation headquarters in an area where many administrative buildings are located. Police are investigating the blast site. They believe the explosion may have been caused by a gas cylinder or a bomb. They asked the media not to draw quick conclusions and wait for the results of the investigation. Tsurkan’s colleagues believe that it may have been an assassination linked to his political career. The man managed the team of an independent candidate in the mayoral election campaign. He received threats over it, his deputy Marina Tauber told the media.